You’ve definitely heard of the Puy du Fou theme park in the Vendée. Voted best park in the world in 2014, the park is also known today for its original creations like the Mystère de la Pérouse show, which won Best European Creation in 2018. 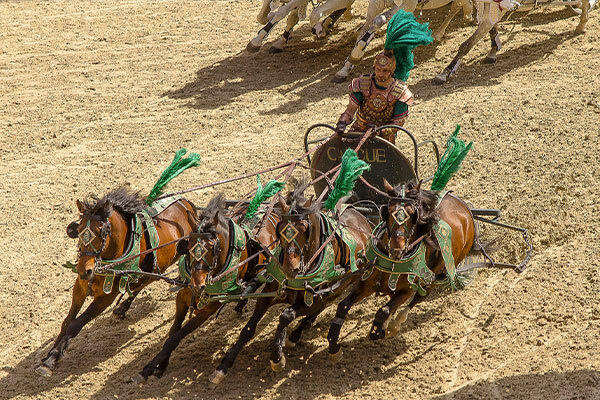 The Puy du Fou theme park has great shows for the whole family that take you on a journey through the history of the Vendée. Some of its best known shows: Le Bal des Oiseaux Fantômes, Le Signe du Triomphe, Les Vikings and Le Dernier Panache. You can also explore the Vallée Fleurie, Prairie des Animaux and the Bourg 1900 to make great memories of this experience out of time! If you have time, get a ticket for the evening show La Cinéscénie, a unique and breathtaking creation. Puy du Fou is located in Les Epesses in the Vendée, 1 hour from La Grand’Métairie. You can buy your tickets directly at reception, and we will answer all your questions! 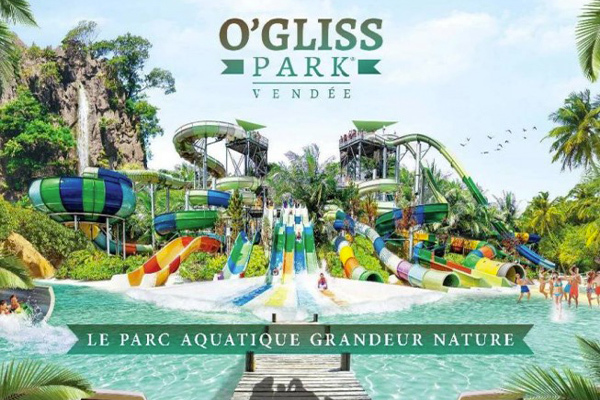 If you love slipping and sliding, adrenaline rushes and water slides, O’Gliss Park is for you! About 10 minutes from La Grand’Métairie, this water park offers a variety of activities for the whole family! Including: lazy rivers, wave pools, water games and pool parties. Have fun and slide around this water park where you will rediscover your love of the water! There are also relaxation areas and kids zones, so that everyone can enjoy their day! O’Gliss Park is located in Moutiers-les-Mauxfaits and is open from the end of June to the beginning of September. Ask at reception for more information. Are you looking for an adventure to share with family or friends? The Indian Forest theme park will satisfy your thirst for thrills! 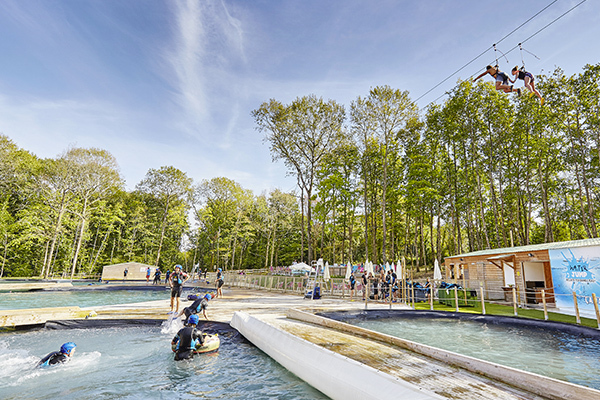 In the heart of the Moutiers-les-Mauxfaits forest, 12 kilometers from the campsite, this theme and adventure park offers a wide variety of activities: ropes course, paint ball, outdoor escape game and water jump. Get ready to have fun with friends at the Duel Arena, a timed obstacle course where you will compete against other teams! There are also sections of the park for young children. Ask at reception for more information.